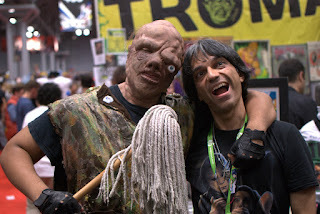 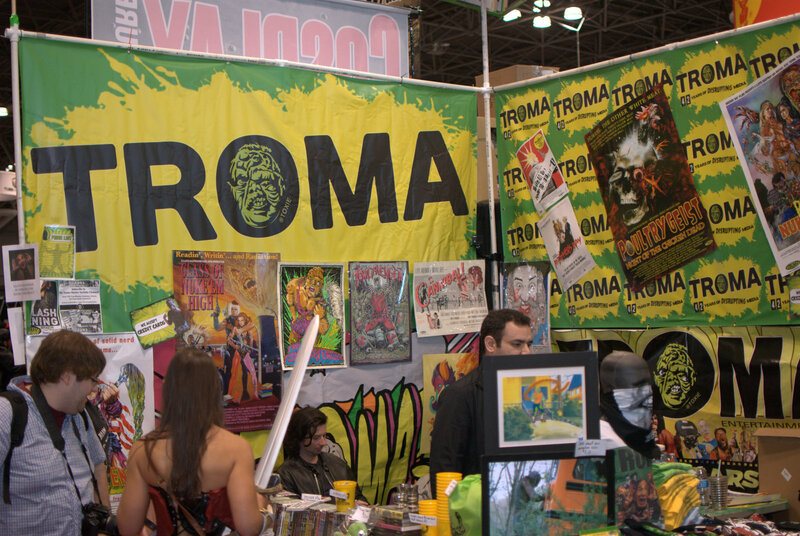 At New York Comic Con (NYCC) on Sat, Oct. 10, 2015, Troma co-founder Lloyd Kaufman gave me a fun, informative, and energetic interview at the Troma booth. 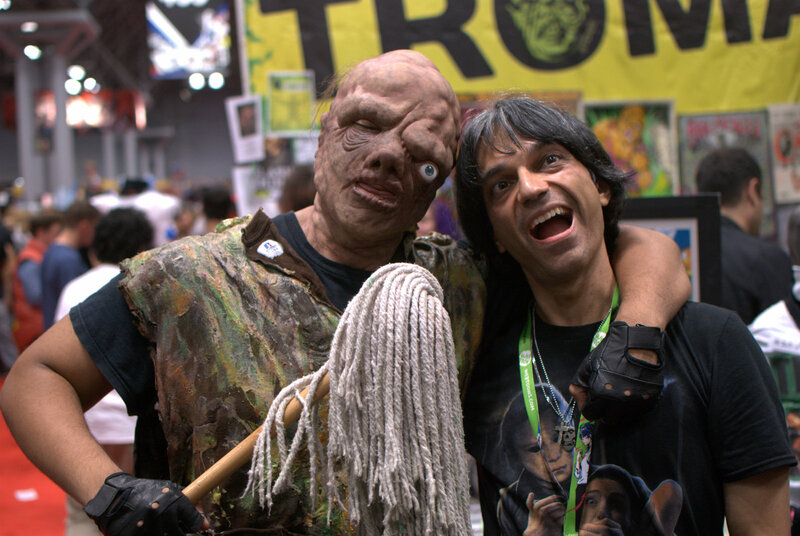 I even got cameo appearances by the lovely Catherine Corcoran and the Toxic Avenger who joined us a little later in it. 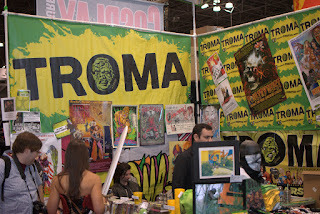 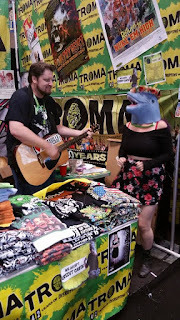 All weekend the Troma booth was THE most fun booth at all of NYCC, and I think that this interview and some of clips contained within, really capture at least a little of that fun. All photography (except for the bottom pic which is done by myself), camera work, and video editing by Negative Pop.